The lasting image of Yulieski Gourriel’s 62-game tenure with the Yokohama BayStars may have come after the Cuban star’s very first ichi-gun game in the team’s pinstriped uniform. That day, an overcast afternoon on June 8, 2014, at Yokohama Stadium, Gourriel debuted with a pair of singles and a double. 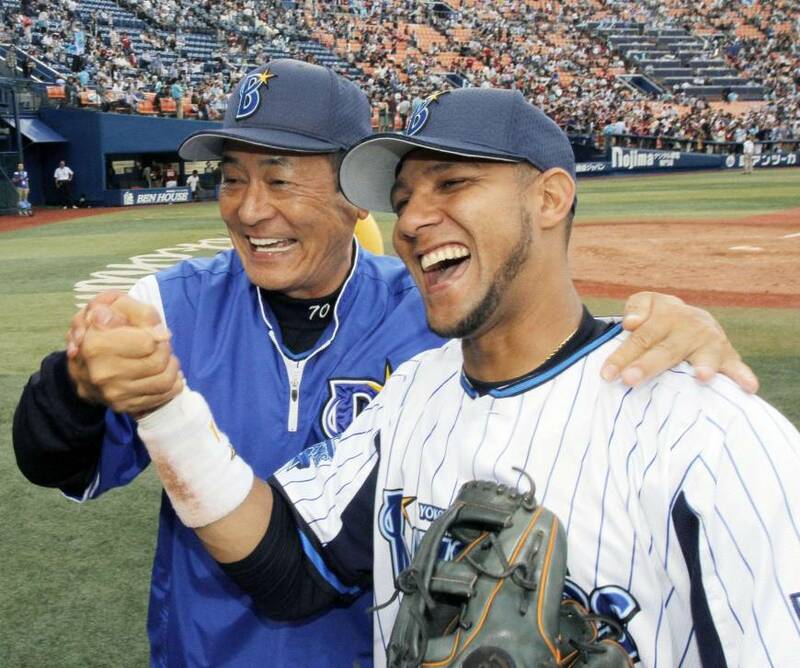 Afterward, he appeared for the on-field postgame hero interview with Shun Yamaguchi and Yoshitomo Tsutsugo and was pulled into a celebratory handshake with gregarious Yokohama manager Kiyoshi Nakata, who flashed a big, open-mouthed grin for the cameras while clasping the beaming Gourriel’s shoulder with his other hand. The image was splashed on either the back page or inside most of the sports dailies the next morning. There probably weren’t any smiles from the BayStars Thursday afternoon, when the team announced it was voiding Gourriel’s contract over the player’s failure to report to Japan in a timely manner. If there were, they were likely out of relief to be rid of a problem that had snaked through the spring and into the regular season. Yokohama lost a good player for sure, but may have shed undue present and future stress in the process. The crux of the issue seems to boil down to the BayStars wanting Gourriel, said to be nursing a hamstring injury at home in Cuba, in Japan. The player, reportedly in the face of repeated entreaties, demurred, and the situation has remained near the forefront of all BayStars news this spring. Yokohama didn’t know how long the infielder would need to convalesce or even when he was coming to Japan. Now he doesn’t have to come at all. Perhaps middle ground could’ve been sought, but the team was within its limits to want Gourriel, who had signed a one-year contract for the 2015 season, in Japan and under its care. By ripping the band-aid off the way they did Thursday, the BayStars might be better off — how they’ve handled their end notwithstanding. The situation had become a headache. 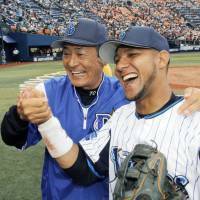 At Tokyo Dome for a practice on March 26, the day before the season began, Takada, having already spent a lot of spring training accounting for the whereabouts of the Cuban, one of the best players from the 2014 team, forced a strained smile when a reporter mentioned Gourriel’s name. Takada was soon encircled by a throng of reporters four-deep, all wanting know not about the next day’s season-opener or the aspirations of a new year, but about the Cuban’s status. Taking on that type of added stress comes with the territory for the GM, but the danger was the distraction could’ve seeped down to Nakahata, whose main focus should be on the BayStars actually in the country, or even worse, the players themselves. Yokohama is trying to end a run of futility that stretches back to 2001, the last time the club finished above .500. The BayStars have enough to worry about without the potential distraction of Gourriel’s absence, the media attention surrounding it, and whatever chemistry issues, if any, that might have arisen upon his arrival. When Gourriel was on the field, he was as good as advertised. In 62 games he hit .305 with 11 home runs, 30 RBIs and an .884 OPS. He’s an MLB caliber player who at 30 has a wealth of talent and knows how to play the game. When he declined to accompany the team for a series in Okinawa in July last season, owing to a fear of flying in bad weather, the team could begrudgingly acquiesce because at least he was still around and playing well. With him in Cuba, not playing or contributing and future returns not guaranteed, such things become harder to reconcile. The BayStars need what Gourriel can give them on the field. What they don’t need are the headaches he’s given them this offseason. So with no sign of the former on the horizon, the team unburdened itself of the latter. There may yet be consequences to bear, especially if Gourriel somehow lands in Tokyo with the suddenly flagging Yomiuri Giants, who had been rumored to be in the running for his services last winter. For the BayStars, at least, it’s a chance to move forward with the players they have and one less thing to worry about.